Hand fans are used to cool and refresh a person by increasing air flow when waved back and forth. Used for centuries by women as a fashion accoutrement, fans can be either broad and flat or foldable, made from silk or paper, be plain or decorated. Fans are an important prop in Japanese, Chinese and Tibetan dancing. 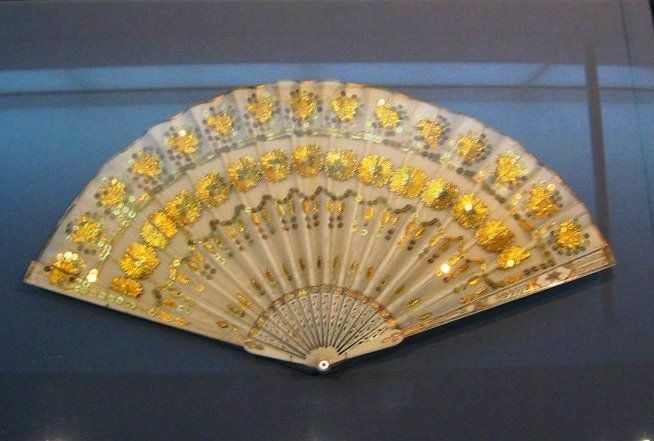 In 18th and 19th century Europe, the fan had its very own "language." For example, fanning fast means "I'm engaged," while fanning slow means "I am married."